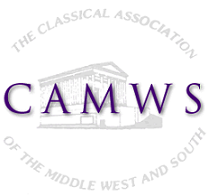 The Classical Association of the Midwest and South is pleased to announce the winners of the 2019 First Book Award. The criteria for this award include excellent quality, wide significance within a scholarly domain, and demonstrated awareness of international trends. The committee is especially interested in books which shift the conversation substantially in the relevant field of research. This year’s winners, in alphabetical order, are Andrew C. Johnston (Yale University) for his book The Sons of Remus: Identity in Roman Gaul and Spain. (Harvard, 2017) and Thomas Keeline (Washington University in St. Louis) for his book The Reception of Cicero in the Early Roman Empire: The Rhetorical Schoolroom and the Creation of a Cultural Legend. (Cambridge 2018). Keeline’s book was commended as a “well-written and meticulously researched book [which] analyzes the role played by the rhetorical schoolroom in shaping the way Cicero was imitated and remembered in the early principate.” One committee member described it as a “wittily written study of Cicero’s reception in the two centuries after his death,” and a “compelling and original” work which “enters a very congested area and truly says something new.” In the committee’s view, The Reception of Cicero in the Early Roman Empire is “a detailed study of the construction of a cultural legend” which has much to offer to students of Cicero as well as those interested in the role of rhetorical education during the early Empire. Congratulations to Drs. Keeline and Johnston.